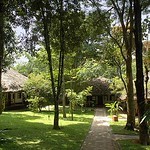 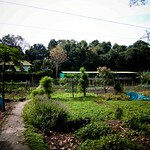 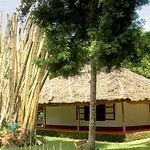 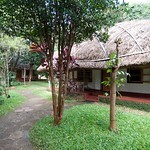 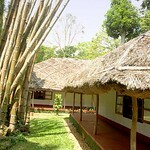 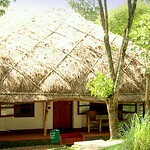 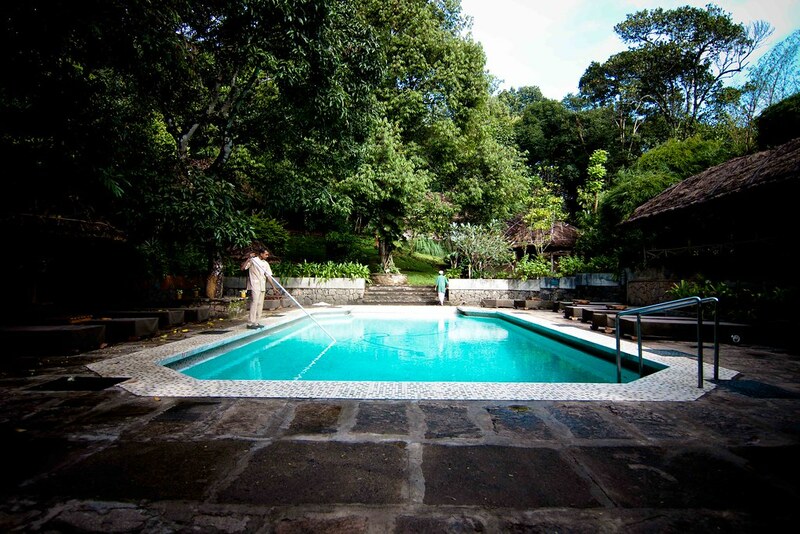 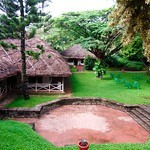 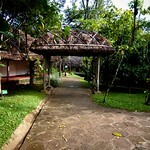 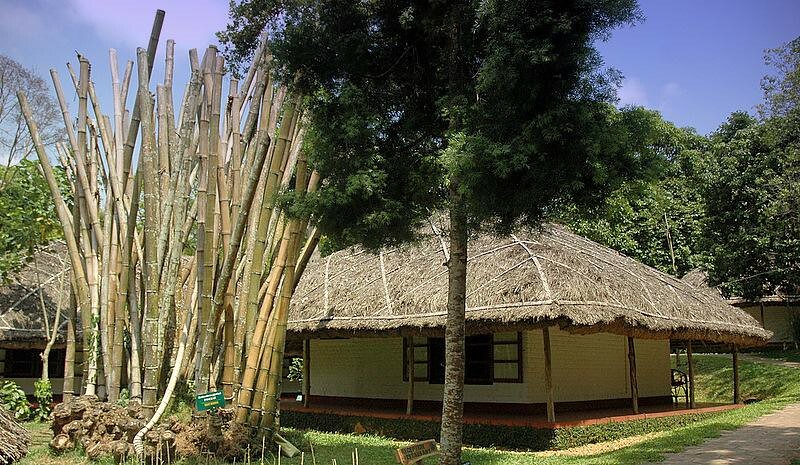 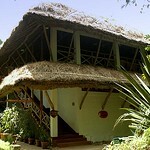 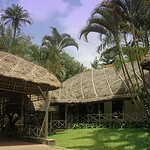 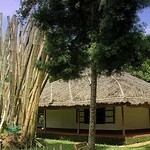 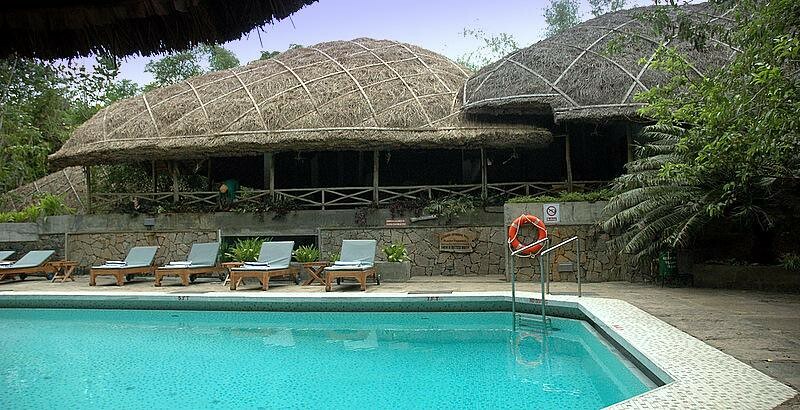 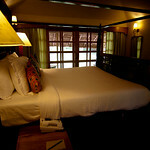 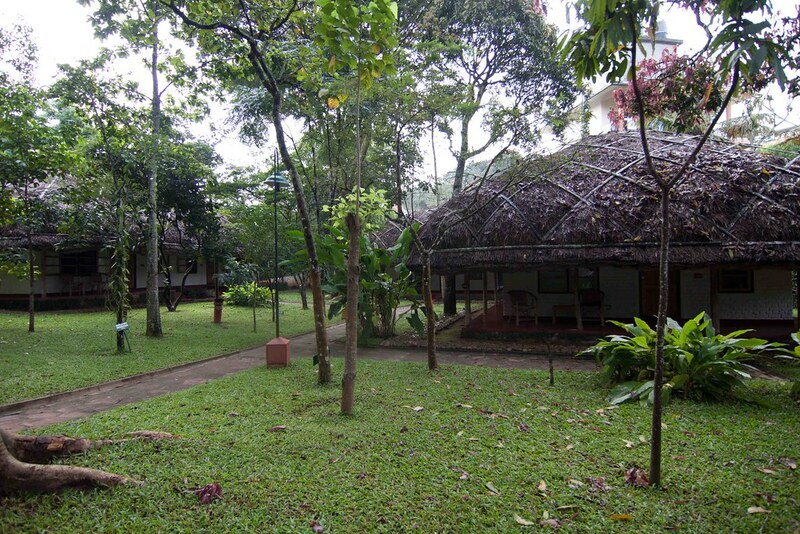 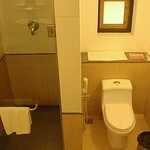 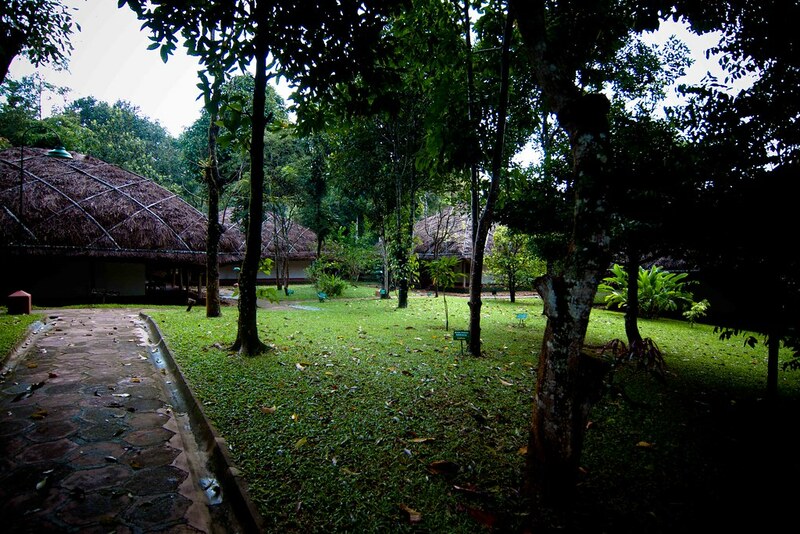 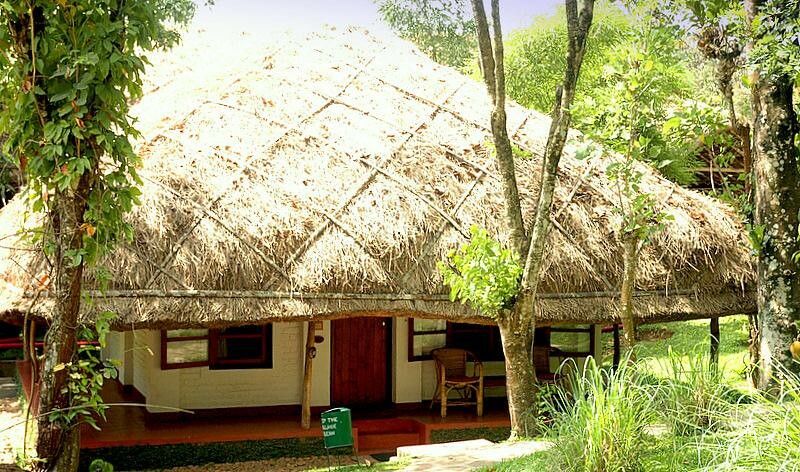 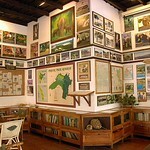 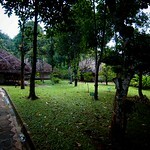 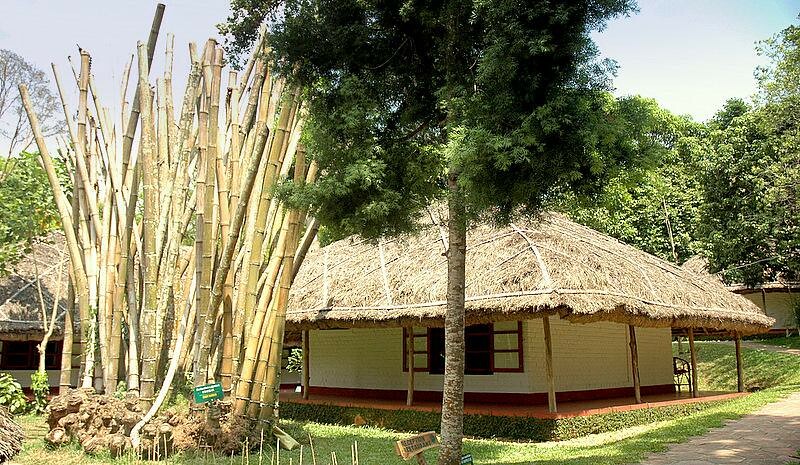 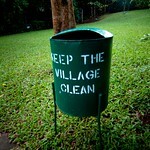 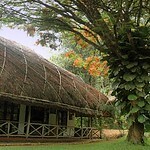 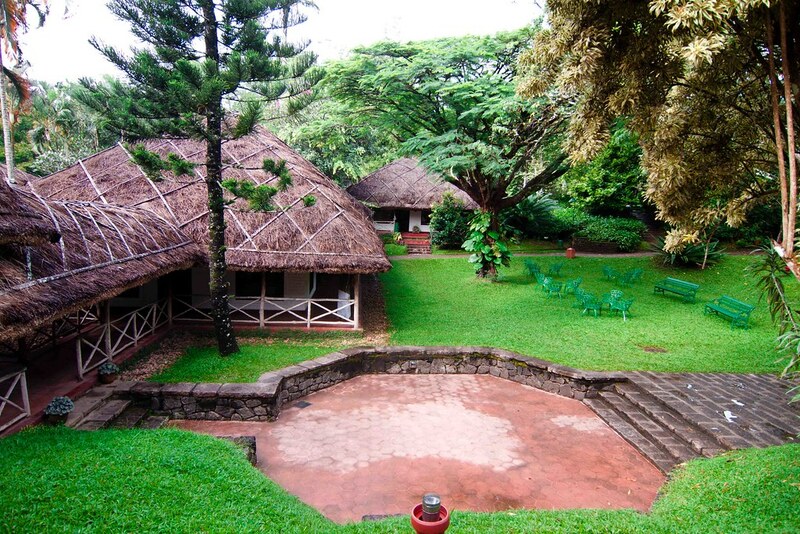 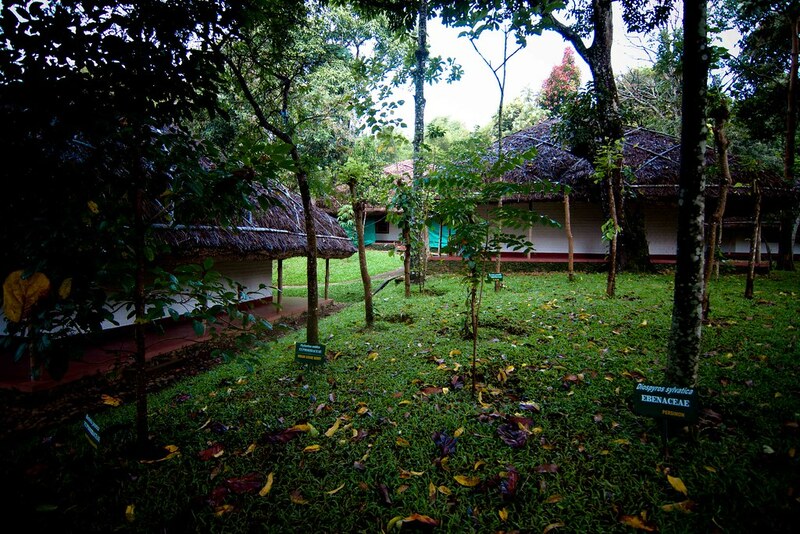 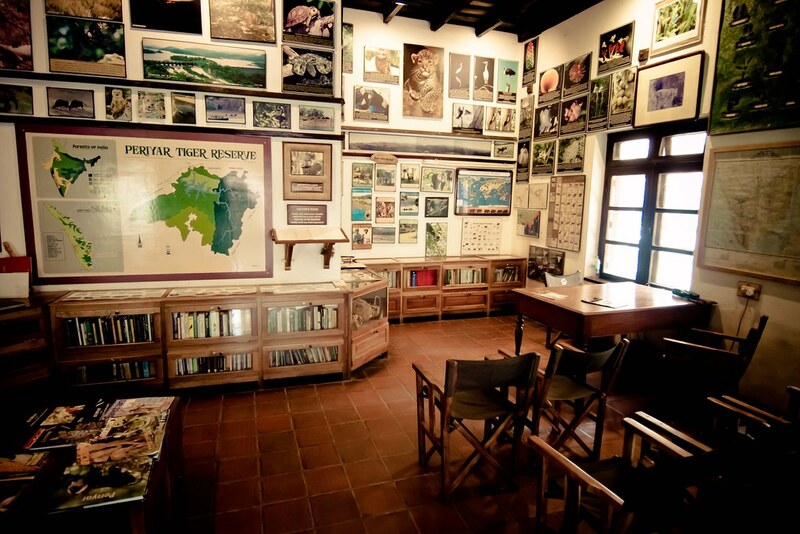 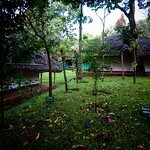 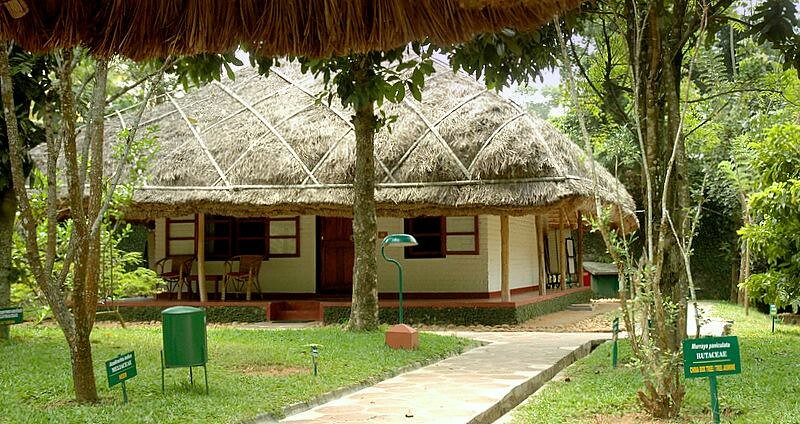 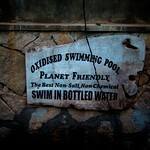 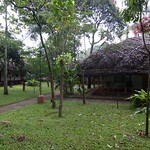 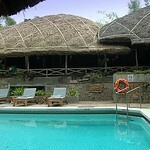 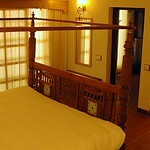 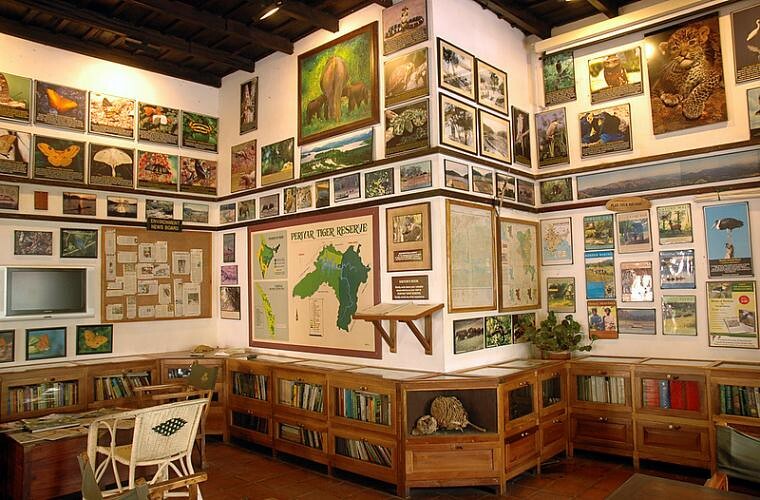 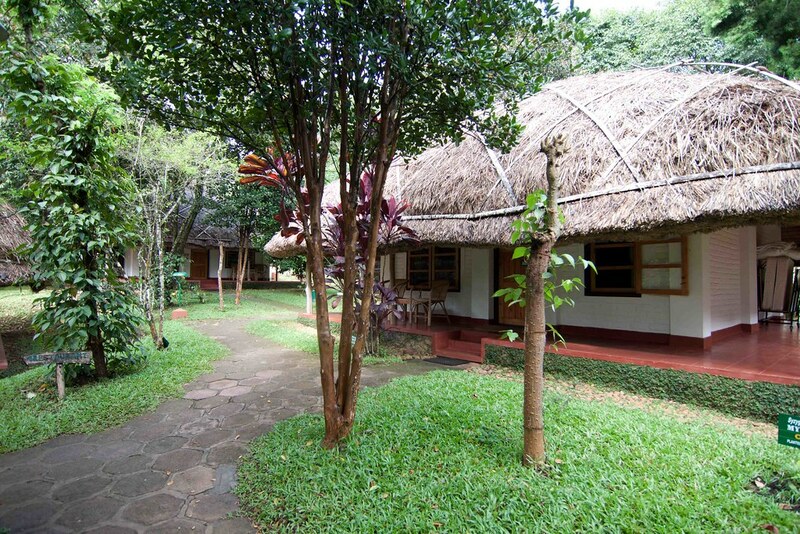 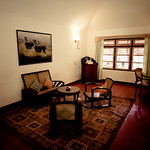 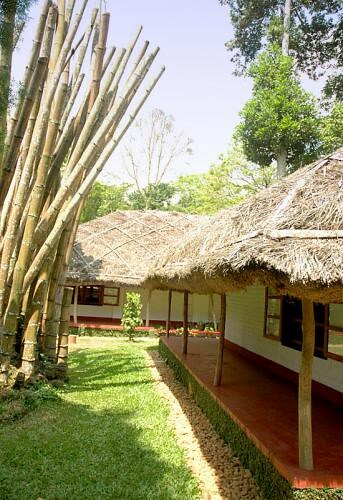 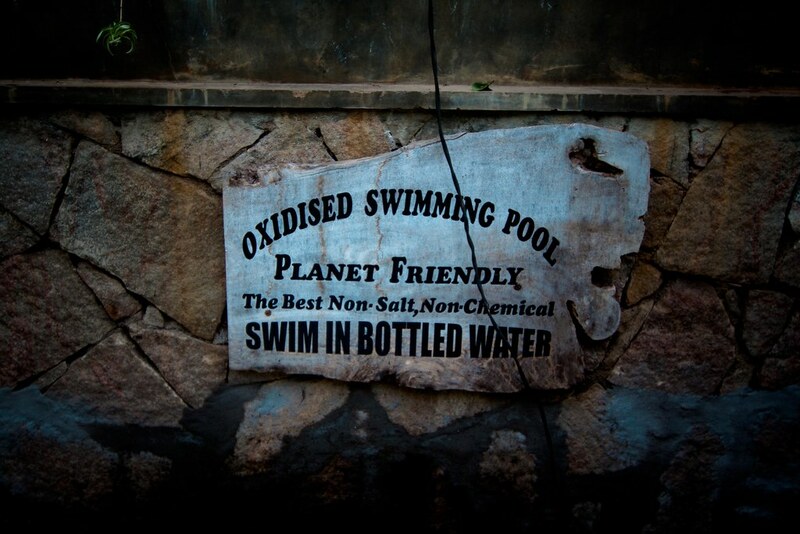 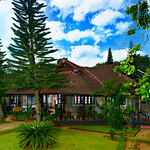 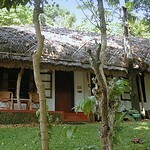 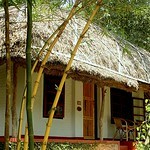 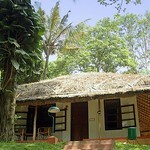 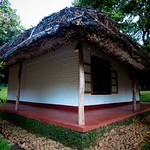 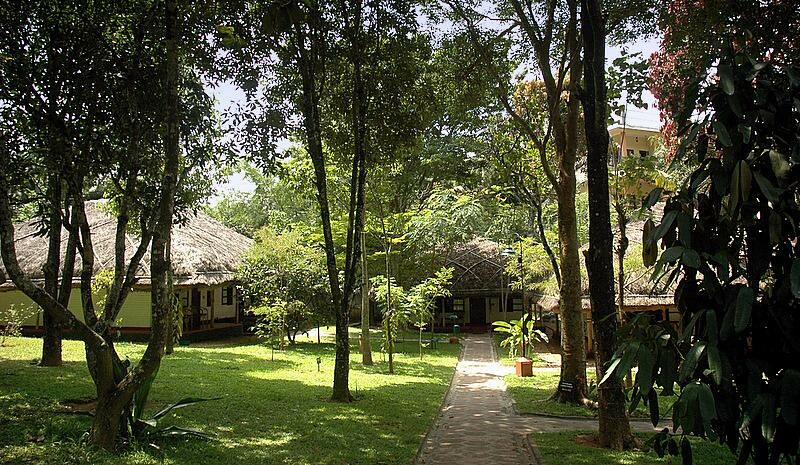 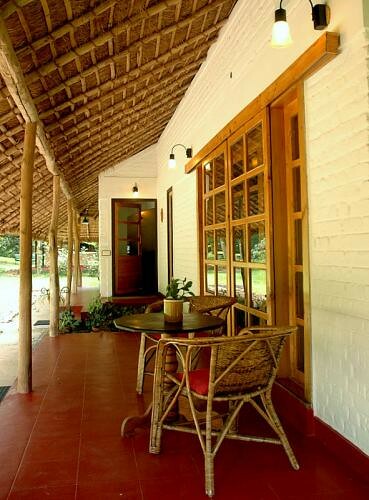 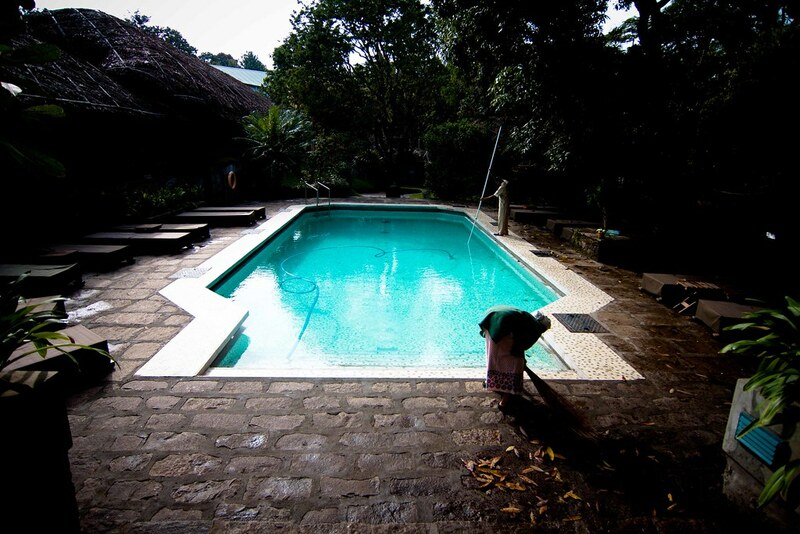 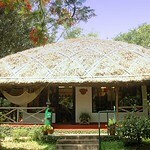 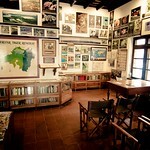 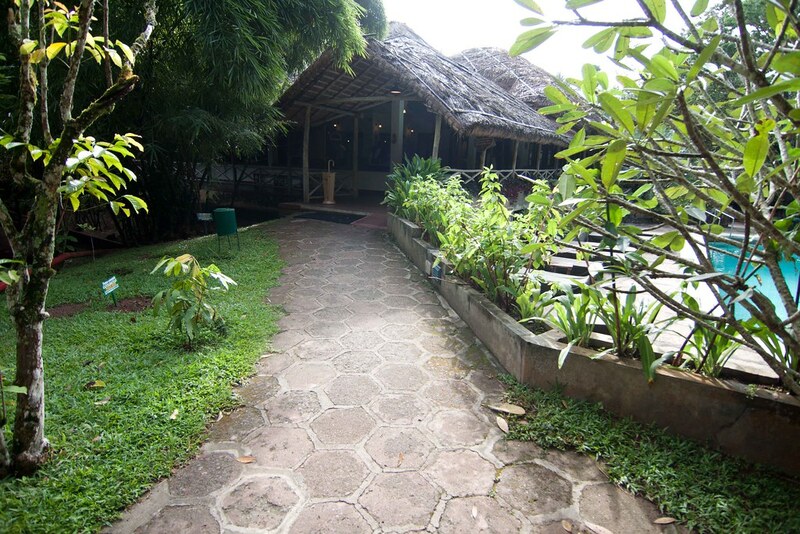 Resort near Periyar with definate opinions on ecology and sustainability. 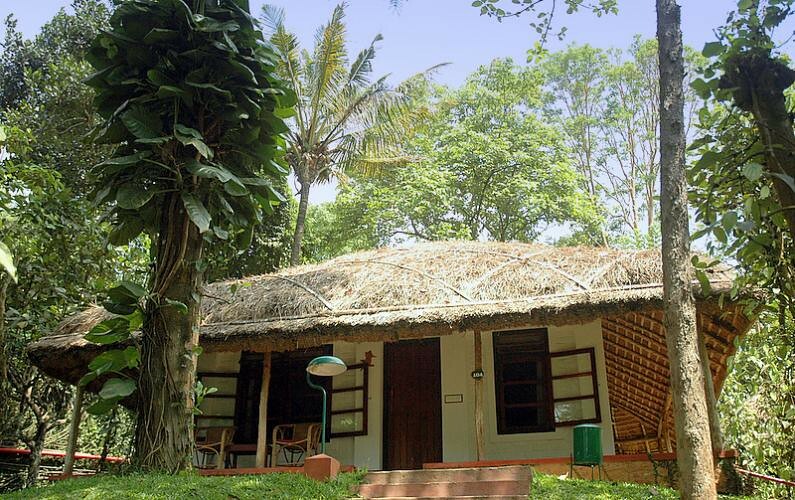 Quiet, secluded and lush. 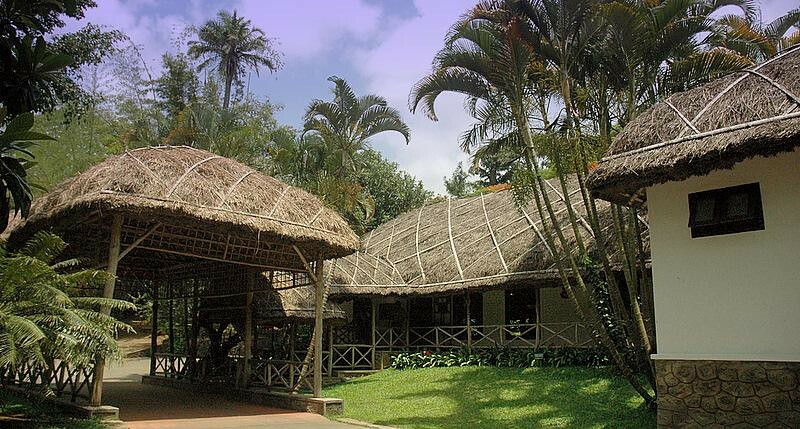 Spice Village is specially designed for city folks who want some time away from the maddening pace of the city life, yet cannot do with out the city conveniences. 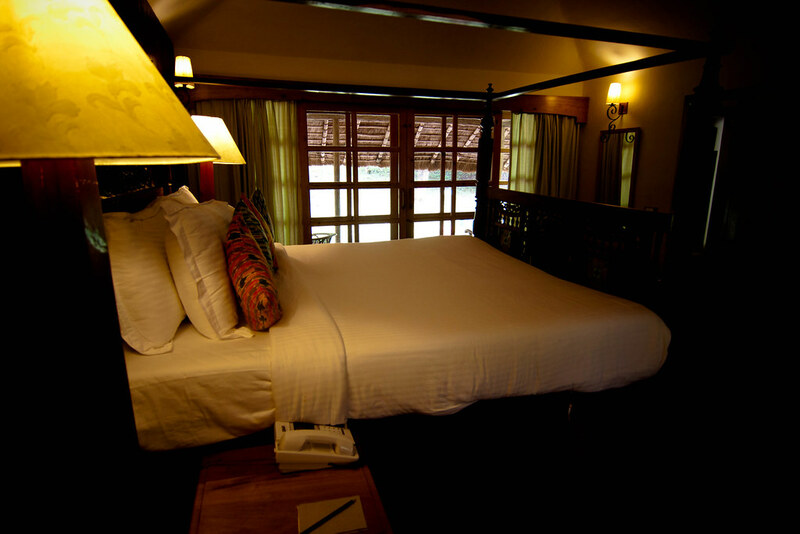 The resort makes an ideal romantic getaway. 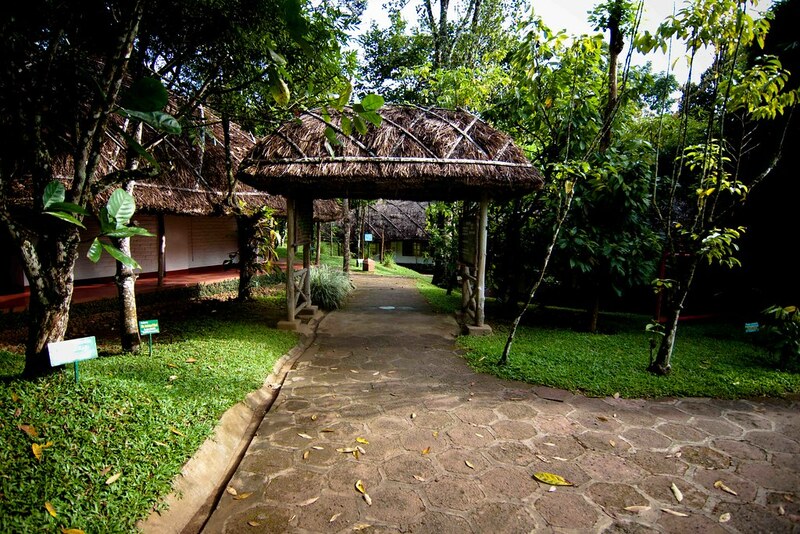 From misty mountains to spice plantations, the settings around the Spice resort has everything to enamour you. 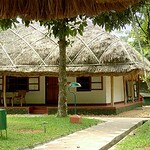 This visually appealing resort in Periyar charm you with its salubrious climate and cardamom hills. 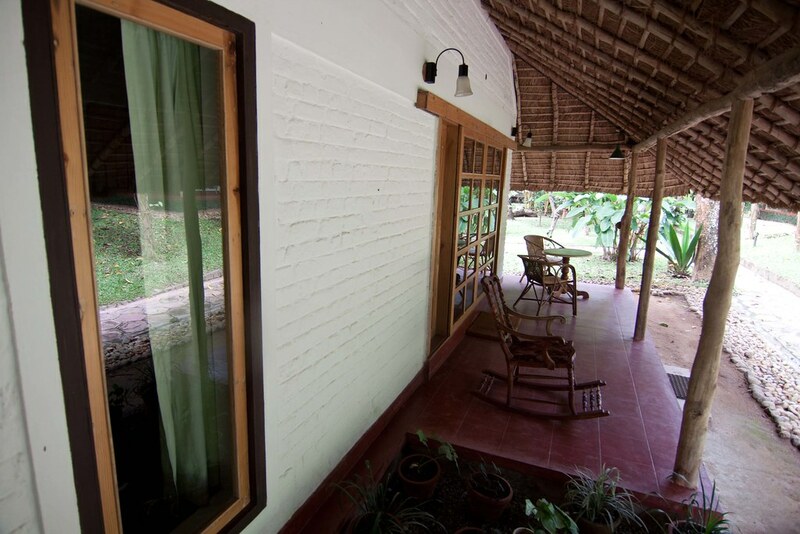 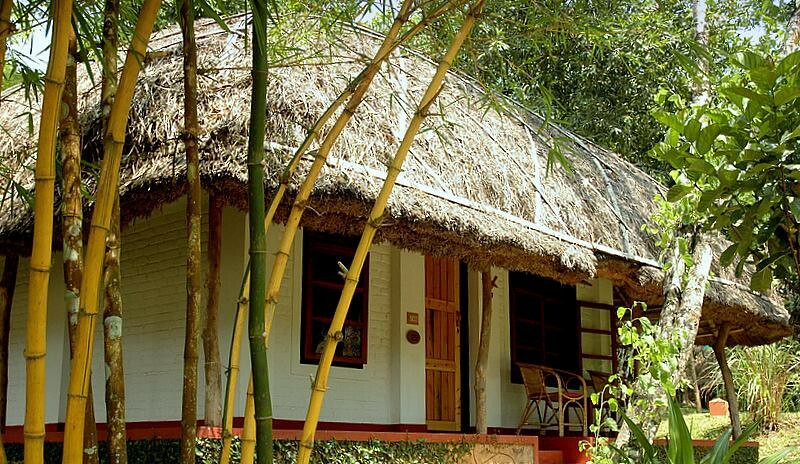 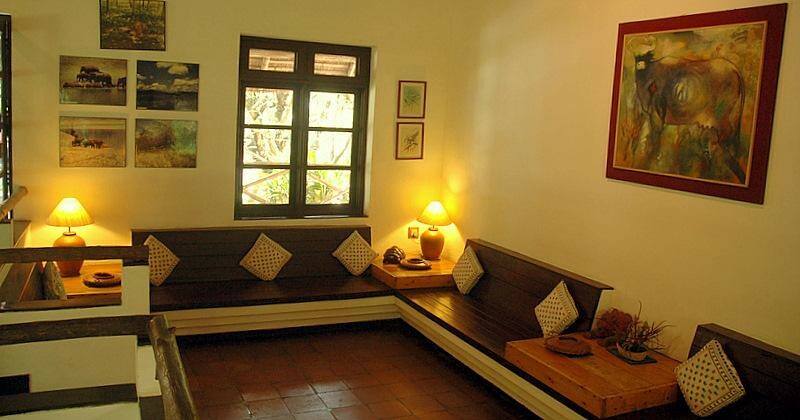 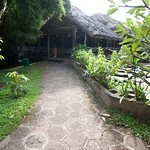 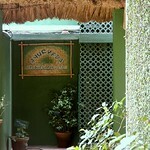 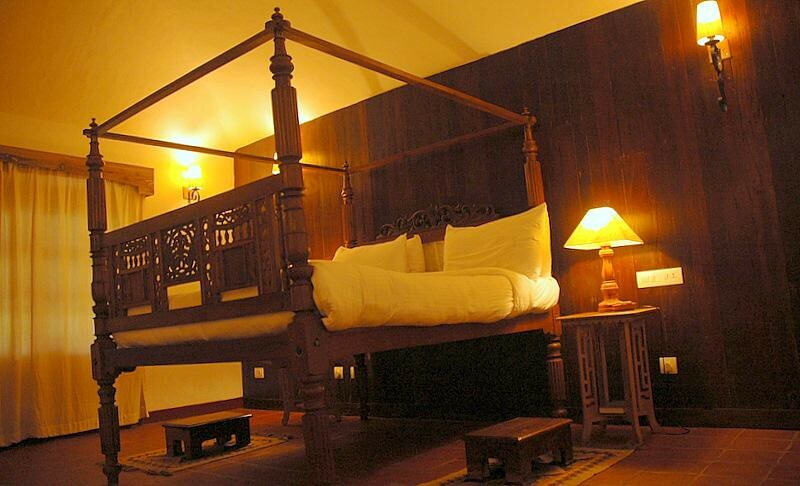 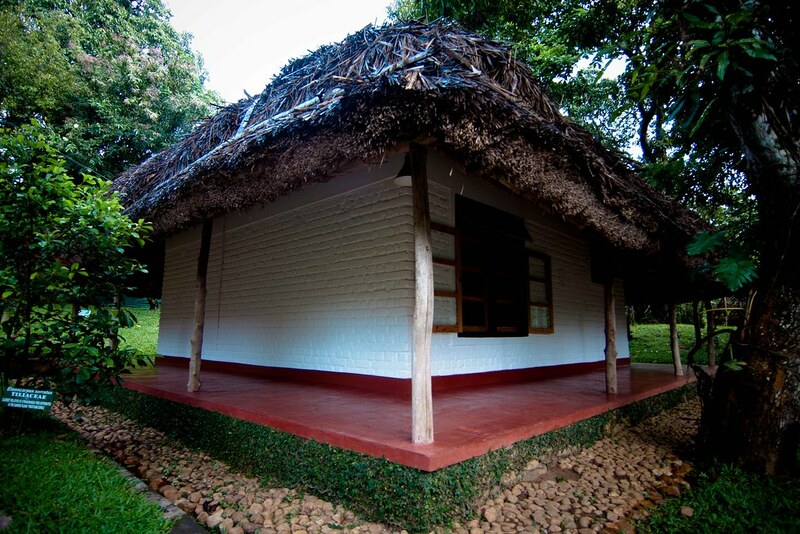 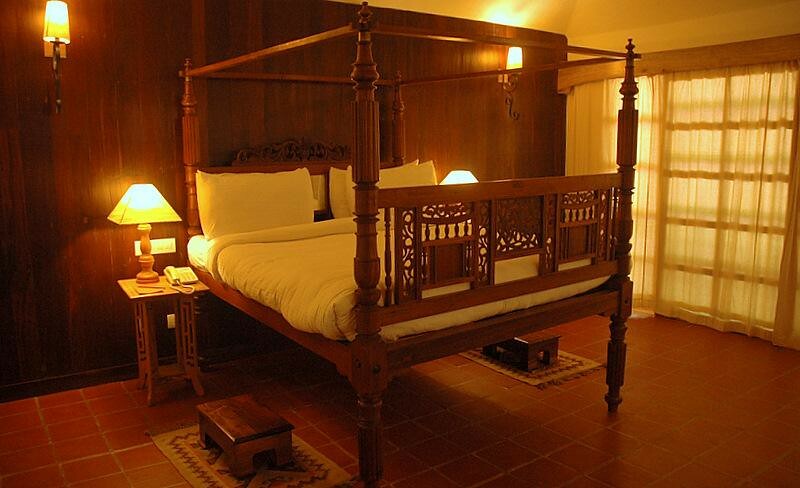 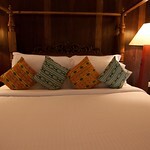 Spice Village provides you with accommodation in cottages that are made of bricks and logs. 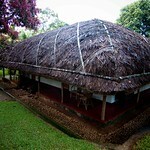 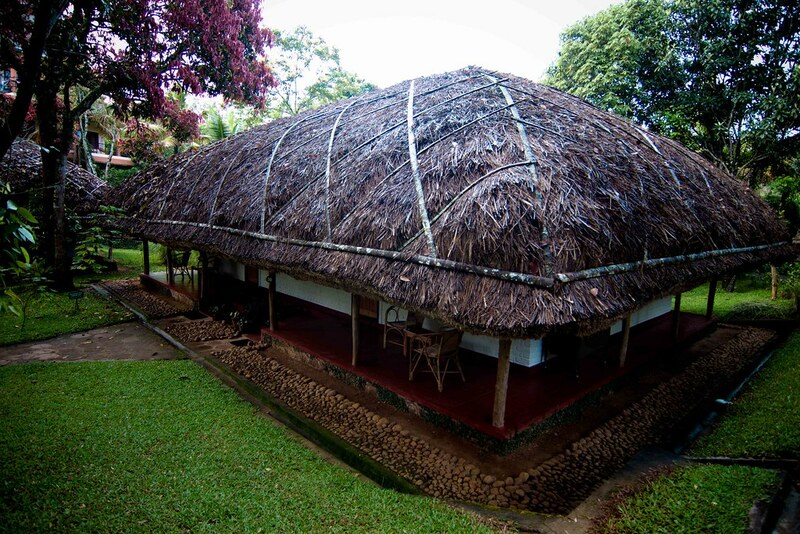 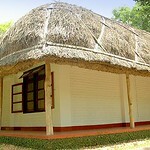 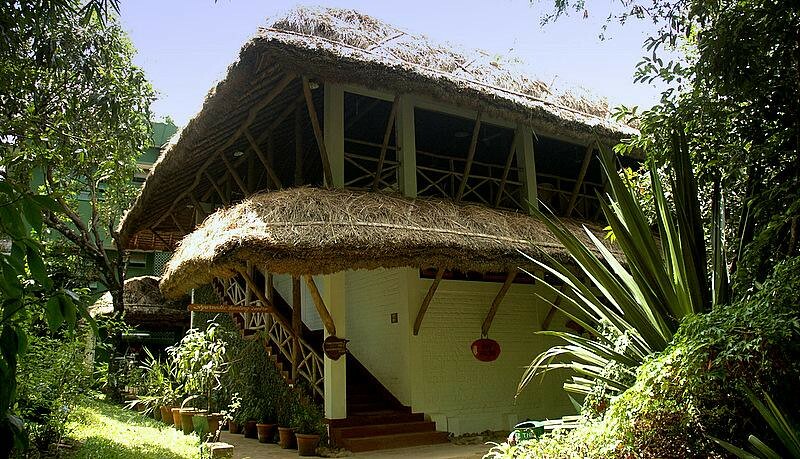 The elephant grass-thatched roof resembles the traditional tribal huts and is made using techniques employed by the tribals. 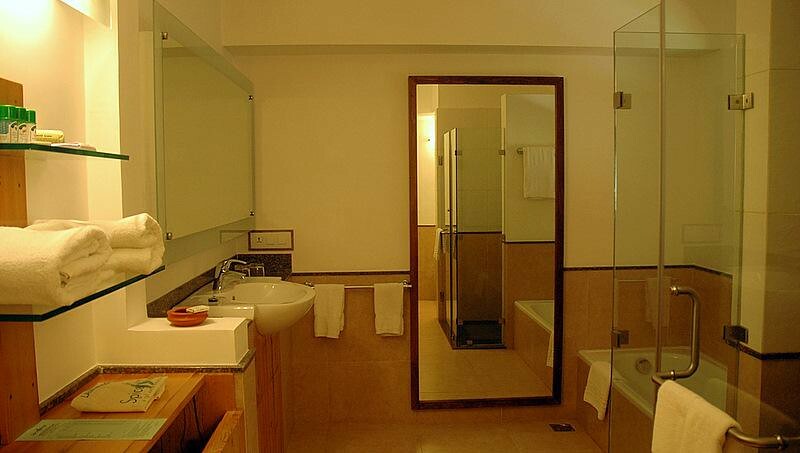 Despite being very traditional in its structure and lookout, it incorporates all the modern day conveniences and the latest amenities. 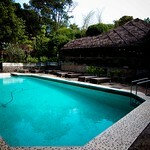 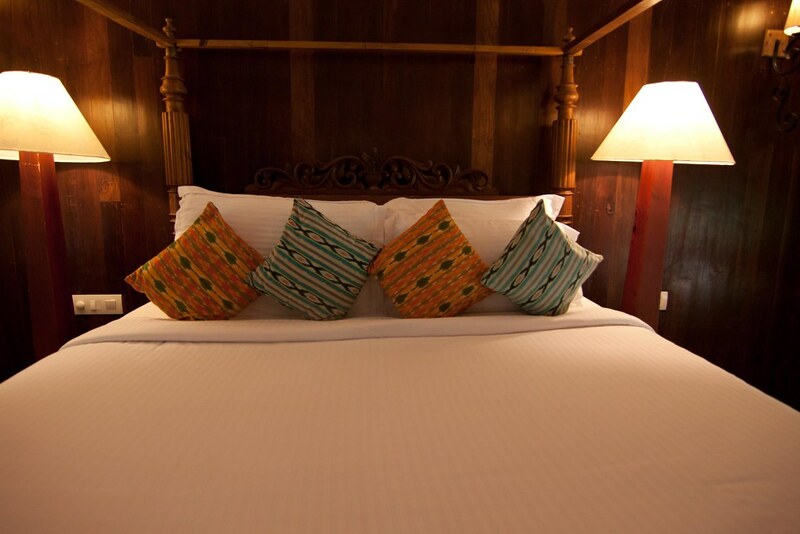 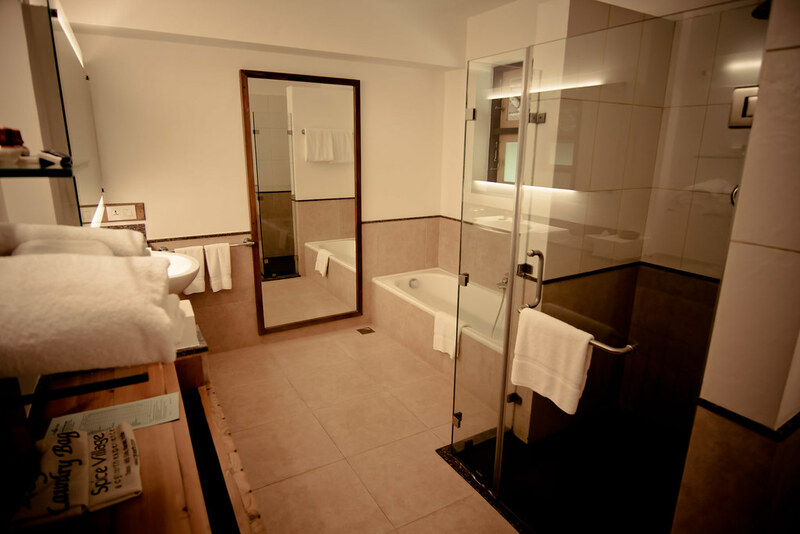 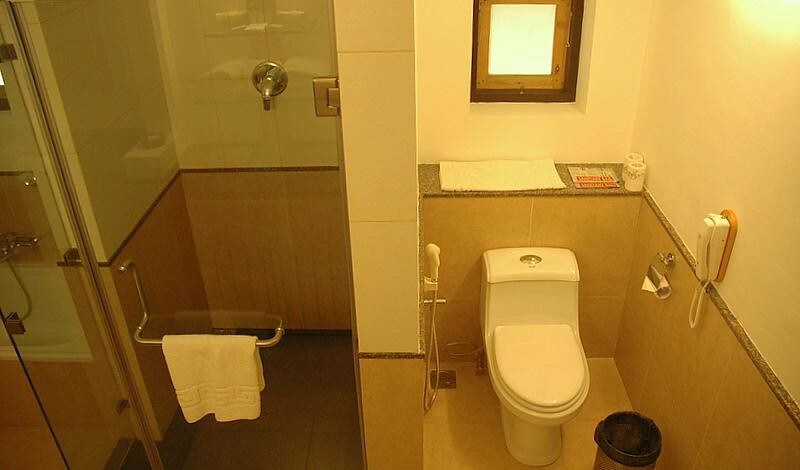 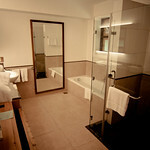 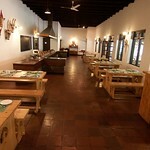 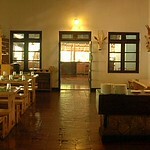 The resort strikes a fine balance between the traditional and modern features. 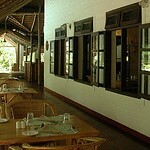 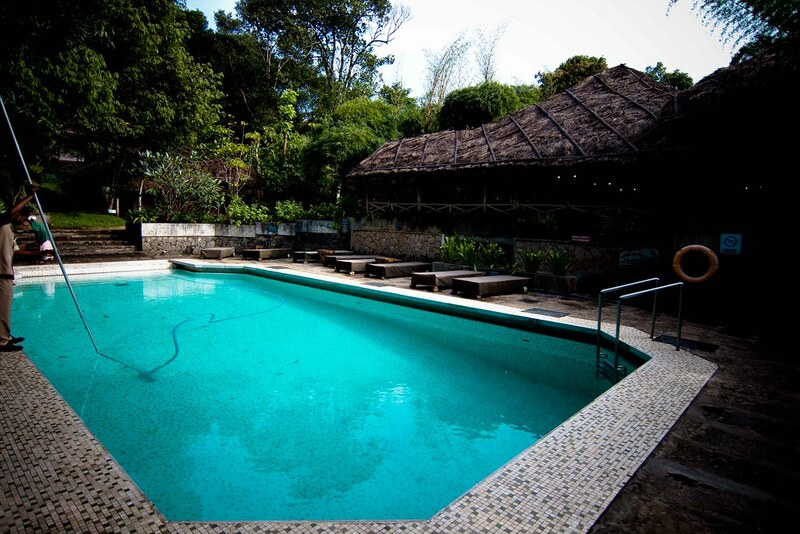 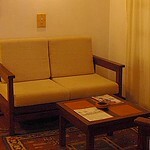 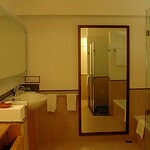 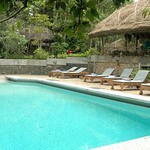 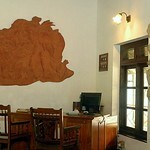 Air conditioning is intentionally avoided to maintain the natural feel of the resort. 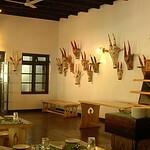 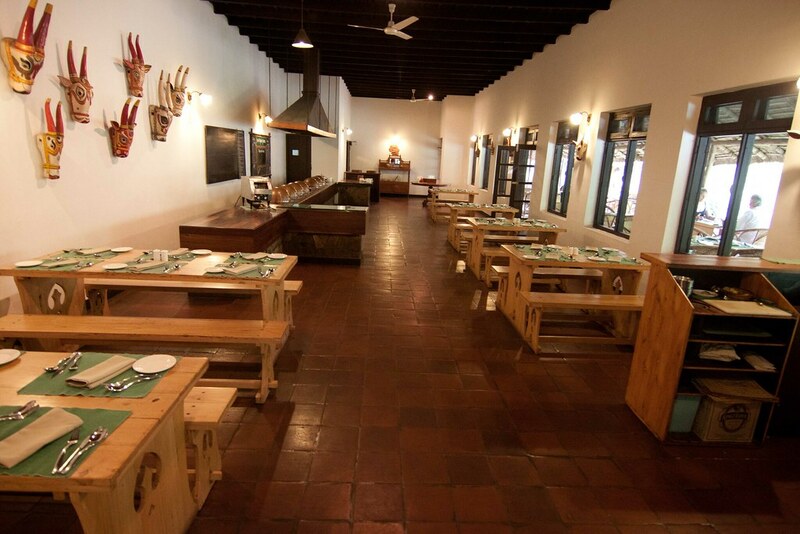 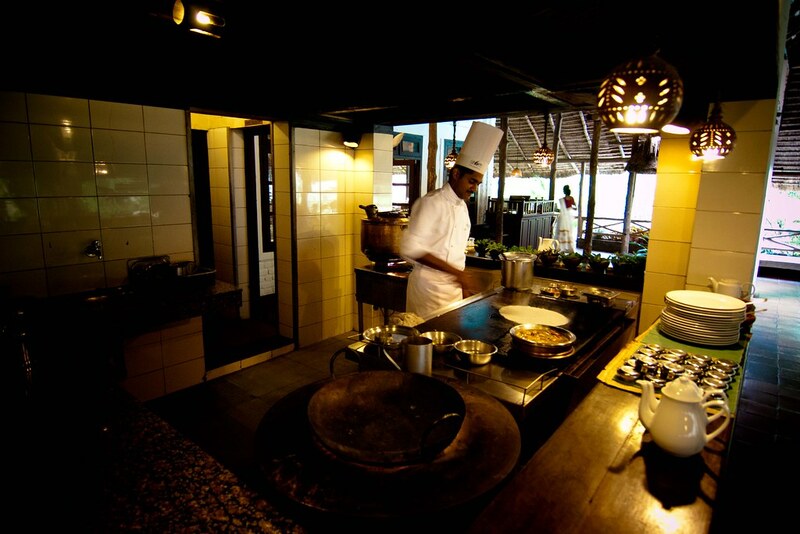 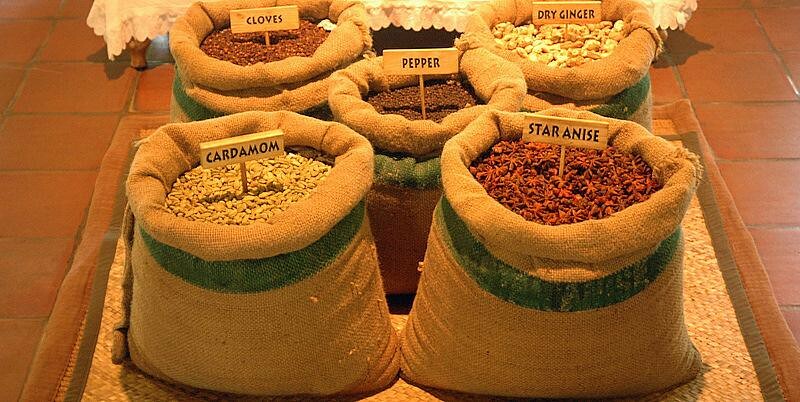 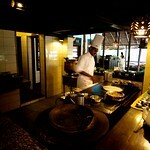 At the Spice Village Resort, guests get an opportunity to sample authentic Kerala dishes, prepared in local flavours. 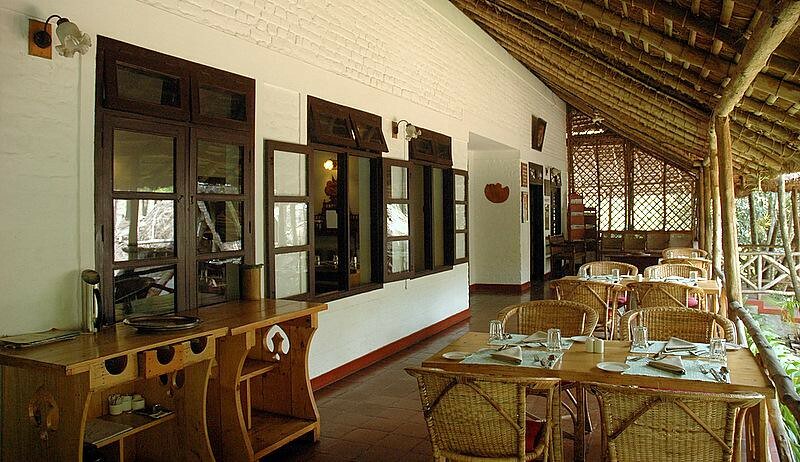 The meals served here taste best when they are enjoyed at an unhurried pace. 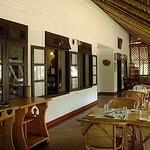 Generous with spices and coconut, you can relish these dishes comfortably seated on the wooden tables. 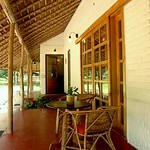 You can chose to have your meals outdoors , sitting on the veranda as well. 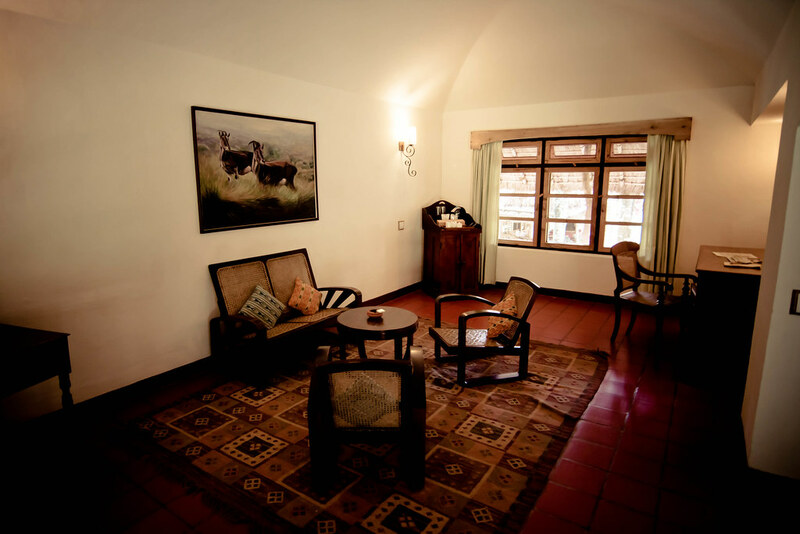 When you are struck by the hunger pangs between your meals, head straight to the 'Tiffin room', and take a few light bites. 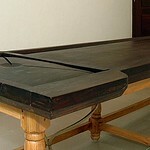 The furniture in rosewood are pieces from a restaurant that was built a century ago. 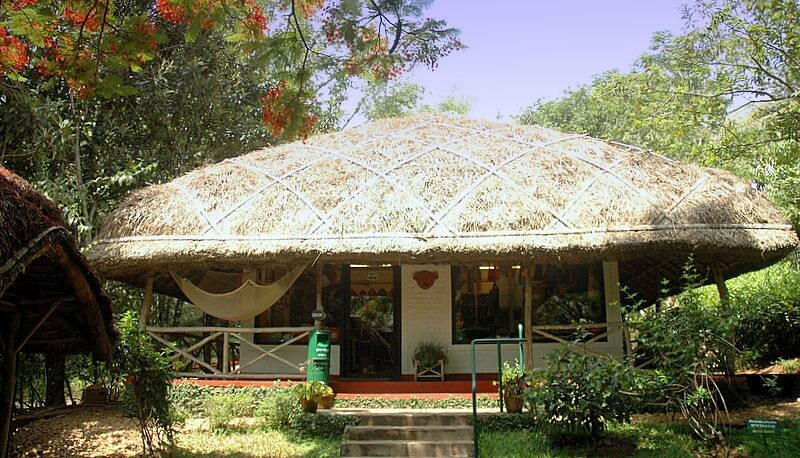 If you loved what you eat here and is waiting to experiment them at your kitchen, attend the cookery classes conducted here. 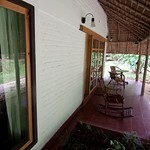 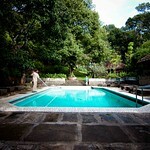 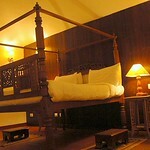 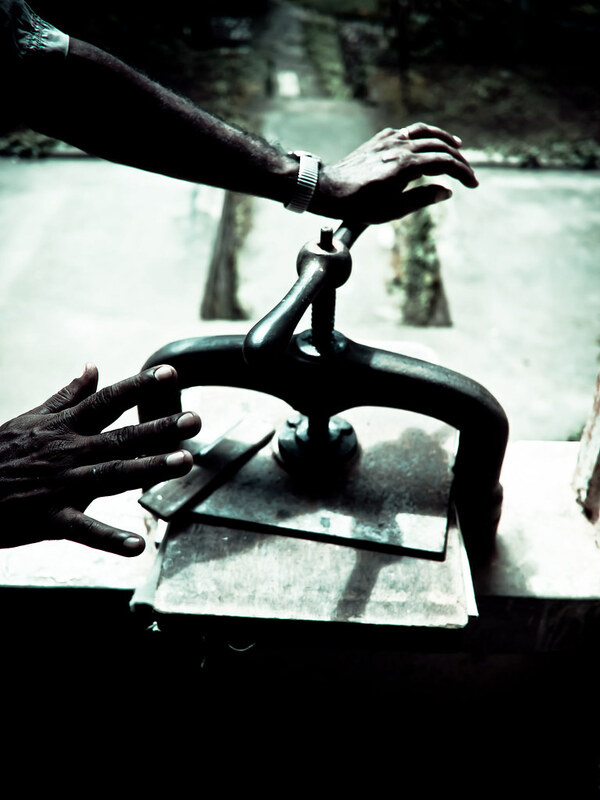 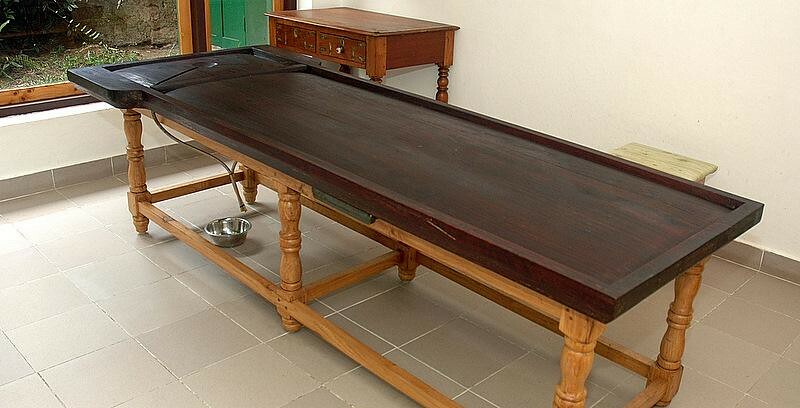 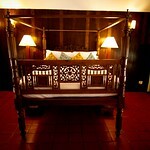 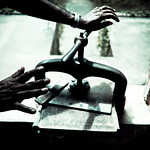 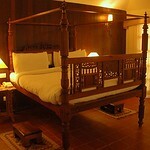 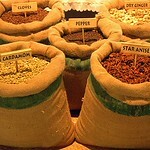 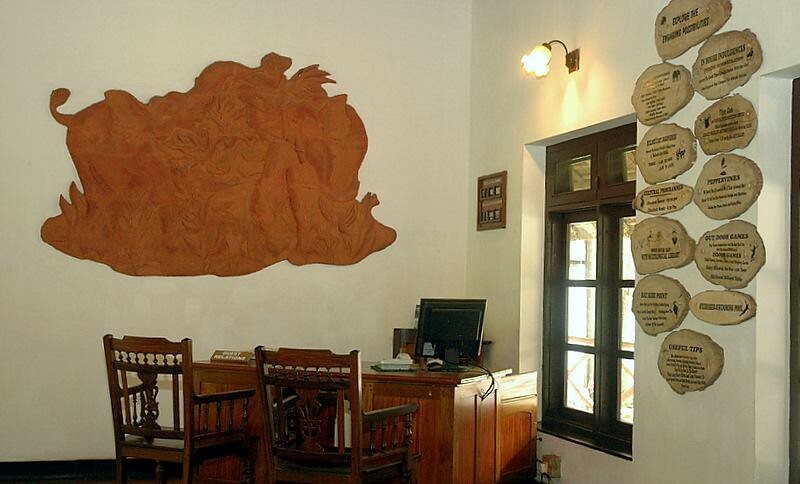 The resort is a great destination to indulge in some Ayurveda treatments. 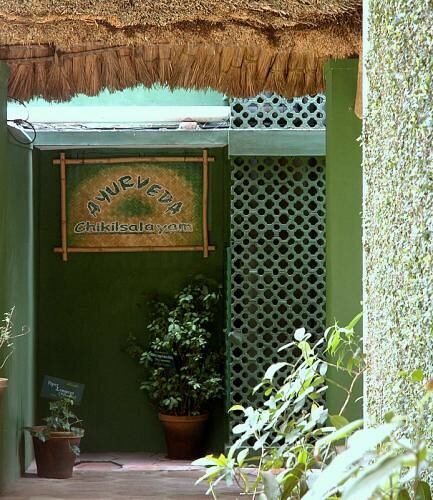 You can leave all your stress behind and get yourself pampered with the healing and rejuvenation therapies that are available here. 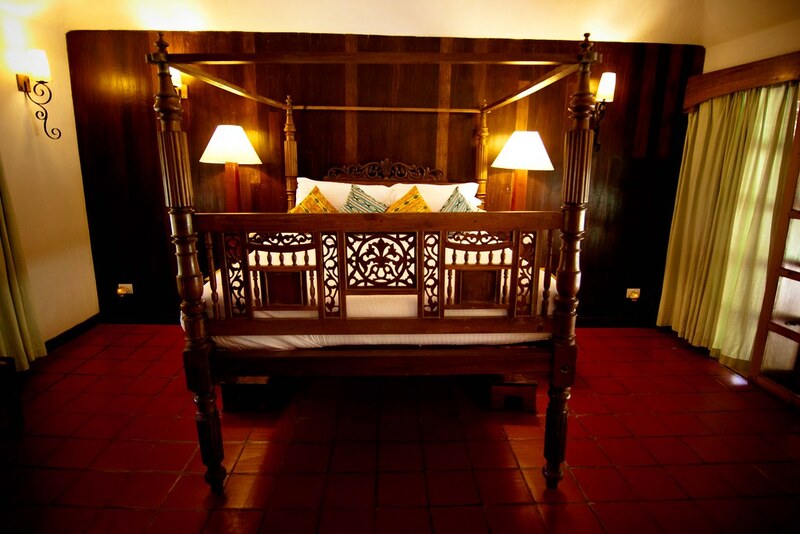 Expert masseurs and well-qualified Ayurveda doctors at Spice Village work together to give you a new lease of life. 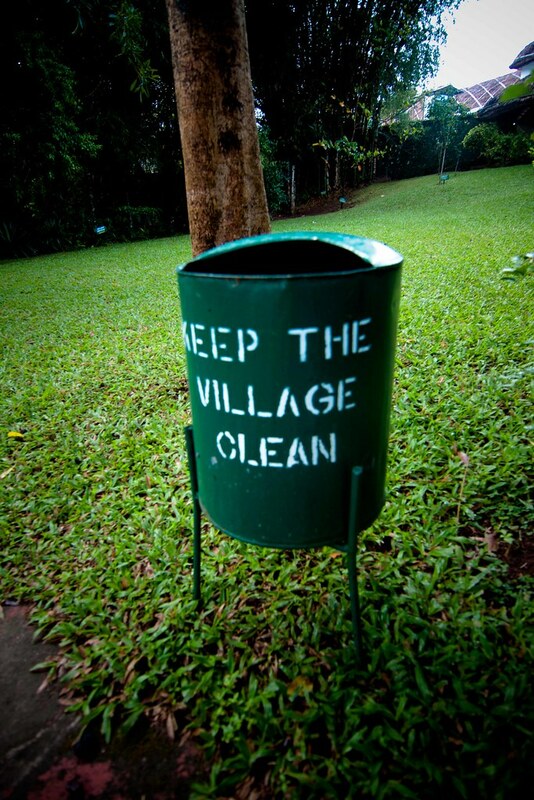 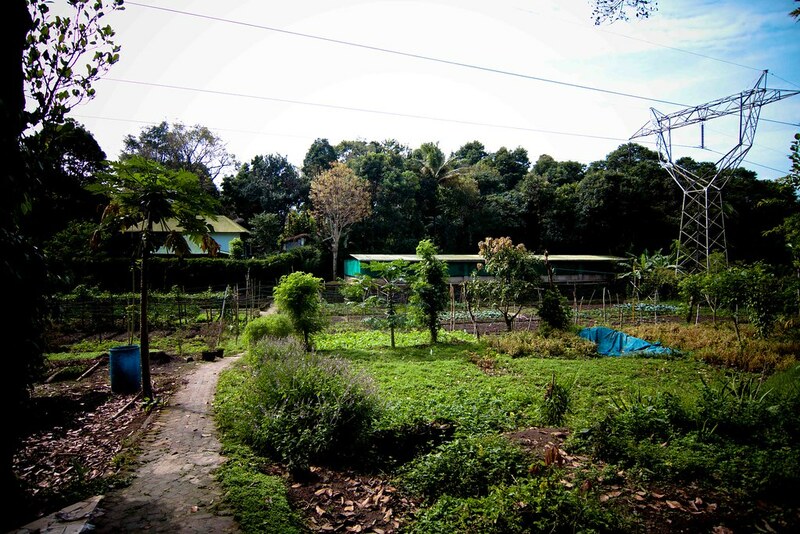 What People say about Spice Village..
Classic hill station resort that pays real attention to its green responsilities with solar power, extensive home grown food and reuse of waste into compost and fertiliser. 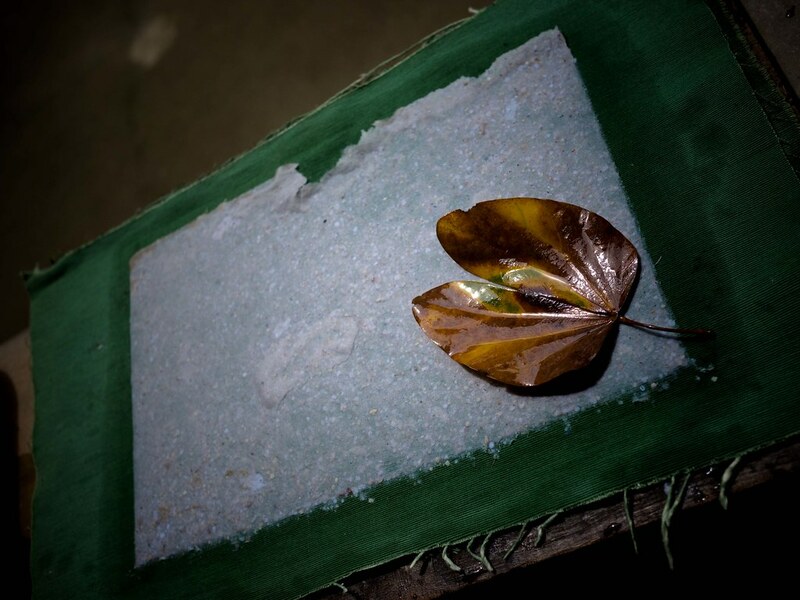 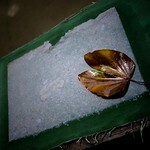 Paper making and a tour of the grounds with the ecologist is a must. 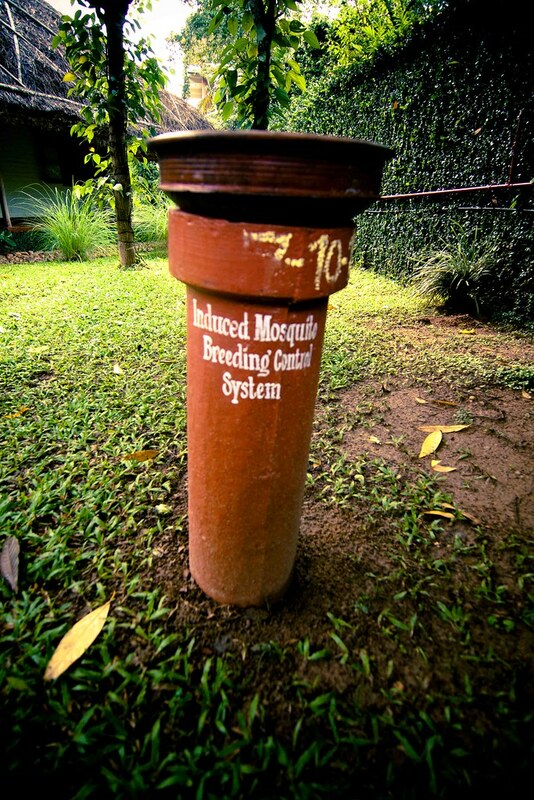 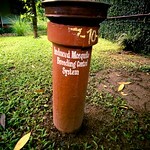 Love the mosquito egg traps. 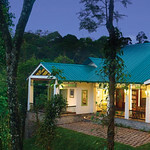 After a long drive up through the spectacular Western Ghats you will feel yourself relaxing in seconds. 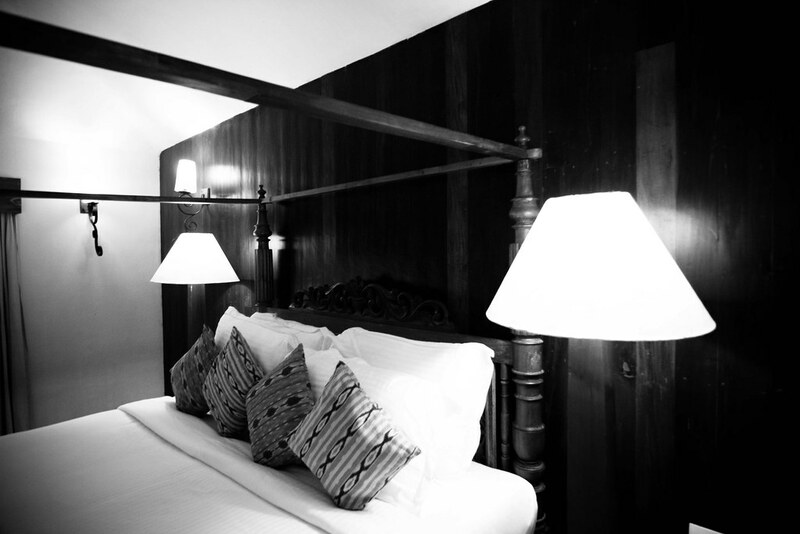 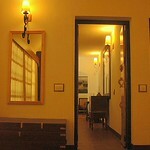 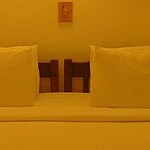 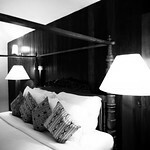 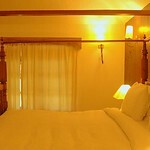 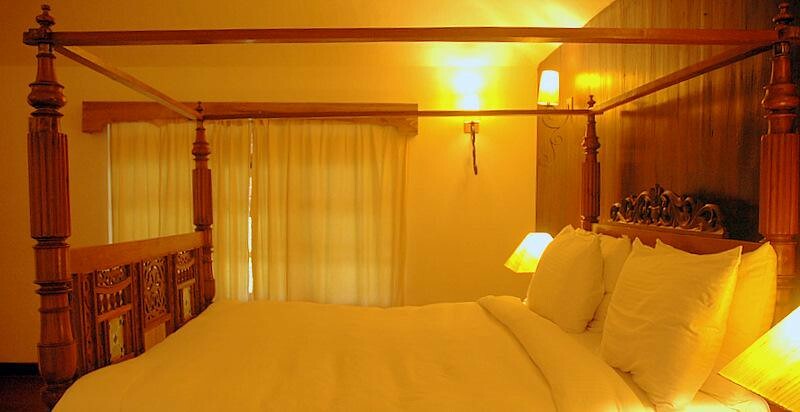 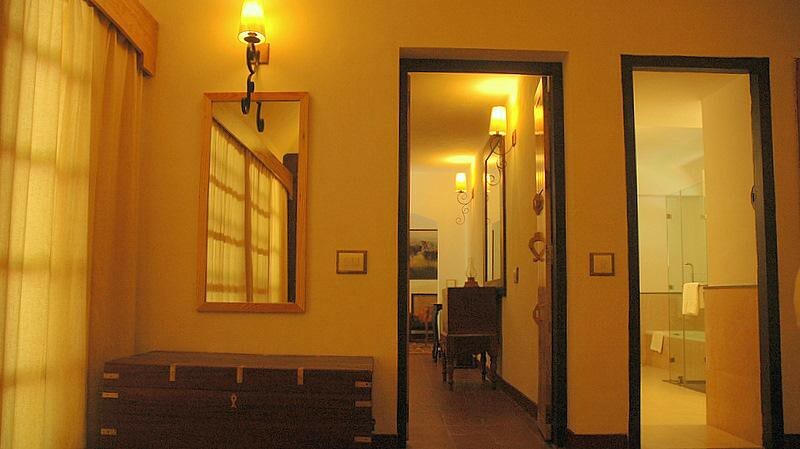 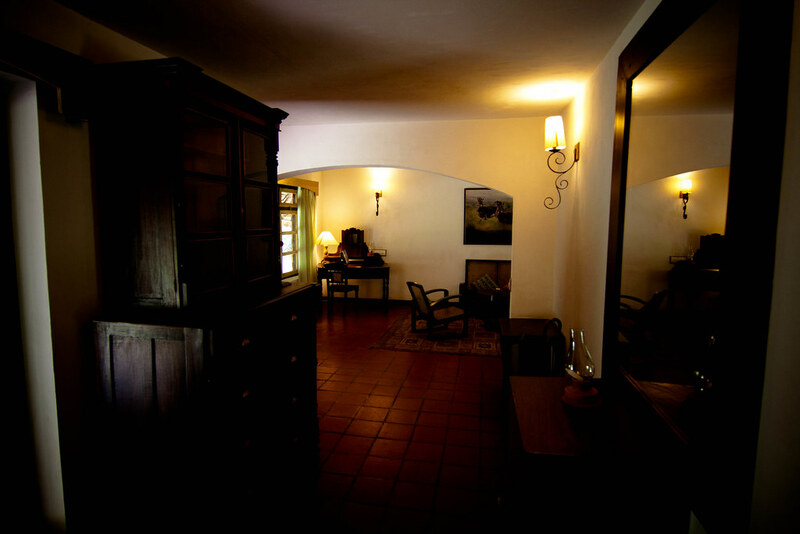 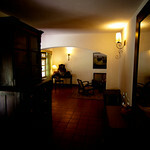 Boutique rooms, well furnished, very luxurious and Pirkko is the perfect host. 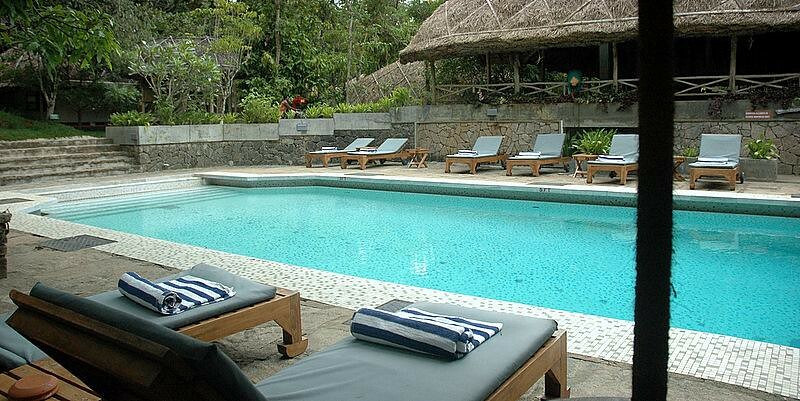 Lie back... relax... enjoy!